When Avast Home Network Security (HNS) displays the following error: “Your network router is accessible from the Internet” that means that hackers can access your router’s administrative interface. Although that doesn’t mean imminent threat, the fact that the router is accessible from the Internet is not good. A cybercrook could modify your network settings and even disable your Internet connection or, the worst, steal your personal data. For sure, if you use the default password in your router, everyone can access your router. However, you won’t do that, will you? If you’re reading this article, we suppose you’re technically educated and will know that using the default password is a serious risk. 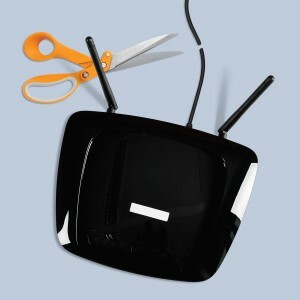 Why should we worry about routers? I already explained how to make sure you have the highest level of encryption set on your router. If you missed it, please go back and read my blog, How to turn on WiFi encryption in your router settings. The next step is to replace thedefault administrator password.Some of the most common mistakes made, not only by common users but also from a significant number of IT professionals, are to use the default administrator password and use the popular WPS and its insecure technology that allows hackers to discover (much easier) the router encryption passphrase. When creating a new password, make sure it is long and strong, using a mix of numbers, letters and symbols (See our article for tips on how to create a strong password). If you have many visitors to your home, it’s a good idea to set up a guest network with a separate password.